Field O’ Flowers is owned and operated by Heather Brooks of South Portland, Maine. The company has been the Greater Portland area’s premiere diaper service for 18 years. 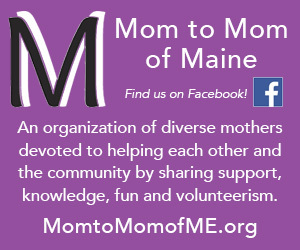 I purchased the business in 2006 and I am very excited to be continuing this service for Maine families. Using cloth for my own children has taught me what I know about the importance of cloth diapering, not only in respect to the environment, but what it has meant to my little ones to have a soft cloth diapered bottom. Our goal is to provide our customers with pleasant, dependable service and a quality product. We are always looking for opportunities to improve our service and meet our customers’ needs. If you have a question, comment, or suggestion, please contact us through e-mail at info@fieldoflowers.net or by phone (207) 415-9469. Thank you for supporting our small family business and best of luck to you and your family!